This section reviews the major classes of chemical reactions. We will begin with a classification of major types of reactions seen on the MCAT and then discuss methods to recognize their products. It is important to understand the conventions of reaction mechanisms. In the following section, we will discuss how to properly balance chemical equations. Many of the reactions we will discuss here have analogues in MCAT Organic Chemistry Review and MCAT Biochemistry Review. Be sure to understand the relationships between the products and reactants because it will help simplify more advanced reactions. A combination reaction has two or more reactants forming one product. 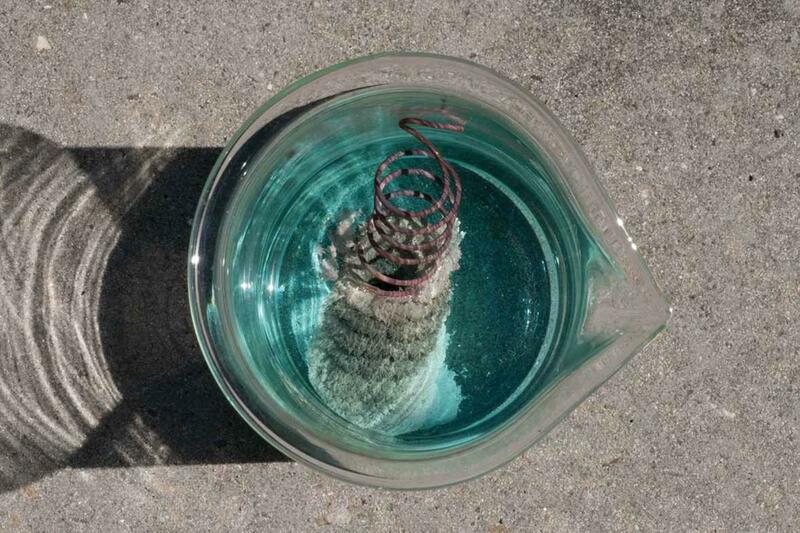 The formation of water by burning hydrogen gas in air is an example of a combination reaction. This reaction is highlighted in Figure 4.2. An example of a reaction which utilizes high-frequency light is the decomposition of silver chloride in the presence of sunlight, shown in Figure 4.3. The ultraviolet component of sunlight has sufficient energy to catalyze certain chemical reactions. A combustion reaction is a special type of reaction that involves a fuel—usually a hydrocarbon—and an oxidant (normally oxygen). In its most common form, these reactants form the two products of carbon dioxide and water. For example, the balanced equation expressing the combustion of methane is shown in Figure 4.4. Combustion involves oxidation (using O2 or similar) of a fuel (typically a hydrocarbon). Combustion reactions are usually conducted with hydrocarbon fuels, but they can also use elements like sulfur or other compounds like sugars. The products can differ, but carbon dioxide and water are almost always present. Therefore, it is important to recognize the reactants and products of this reaction type because you may see it in various contexts. A single-displacement reaction occurs when an atom or ion in a compound is replaced by an atom or ion of another element. For example, solid copper metal will displace silver ions in a clear solution of silver nitrate to form a blue copper sulfate solution and solid silver metal. The products of this reaction are shown in Figure 4.5. Figure 4.5. Single Displacement Reaction of Cu and AgNO3 Solid silver deposits on the copper wire while copper ions dissolve in solution. Single-displacement reactions are often further classified as oxidation–reduction reactions, which will be discussed in great detail in Chapter 11 of MCAT General Chemistry Review. For example, Ag in AgNO3 has an oxidation state of +1, but when it leaves the compound, it gains one electron (the Ag+ is reduced to Ag). On the other hand, copper loses an electron (oxidation) when it joins the nitrate ion. In double-displacement reactions, also called metathesis reactions, elements from two different compounds swap places with each other to form two new compounds. This type of reaction occurs when one of the products is removed from the solution as a precipitate or gas or when two of the original species combine to form a weak electrolyte that remains undissociated in solution. For example, when solutions of calcium chloride and silver nitrate are combined, insoluble silver chloride forms in a solution of calcium nitrate. A series of double displacement reactions are shown in Figure 4.6. 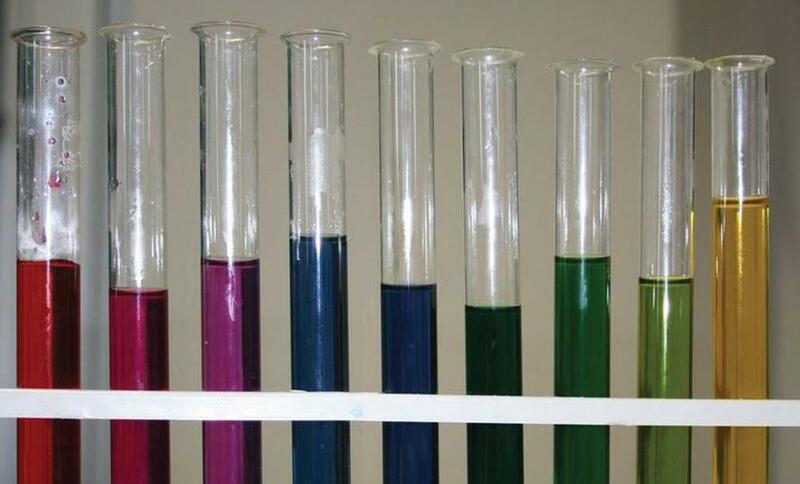 Shown are test tubes in which Zn(NO3)2 is dissolved in solutions to precipitate solid zinc salts. 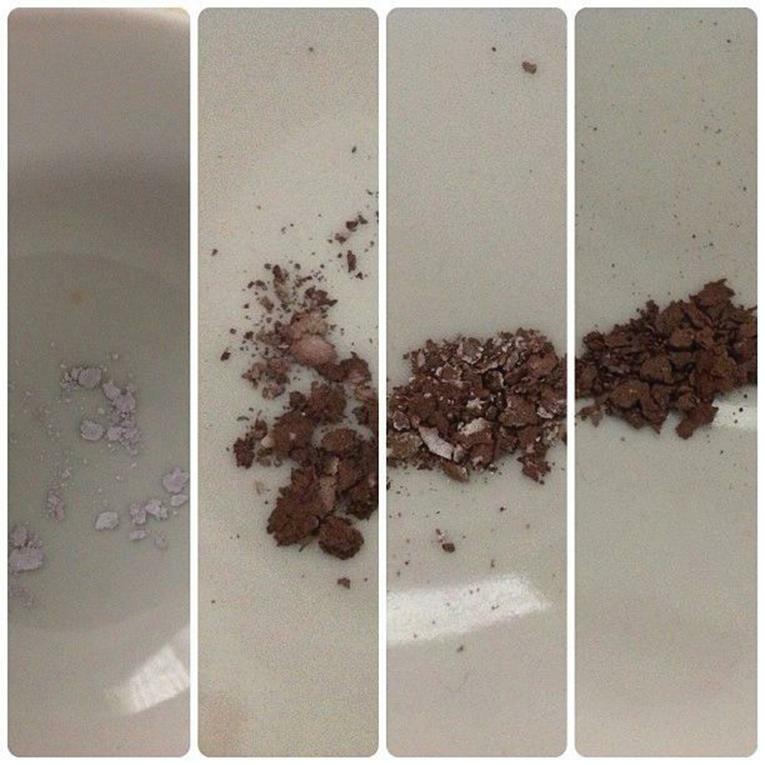 From left to right, the solutions are (NH4)2S, NaOH, and Na2CO3. Figure 4.6. Double-Displacement Reactions forming Various Zinc Salts Left: (NH4)2S solution, producing ZnS (s). 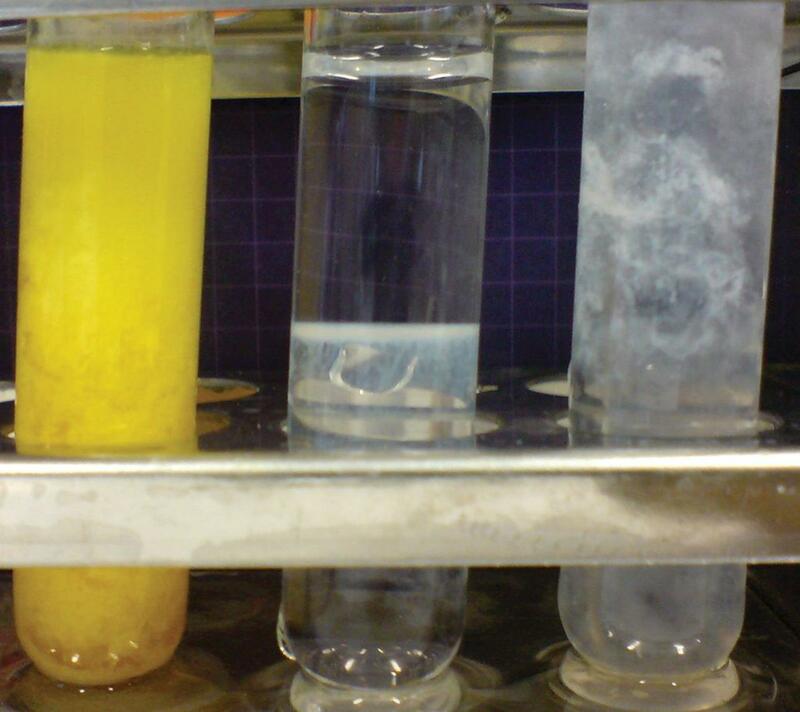 Middle: NaOH solution, producing Zn(OH)2 (s). Right: Na2CO3 solution, producing ZnCO3 (s). Acids and bases combine in neutralization reactions to produce salts (and, usually, water). Acid–base chemistry is discussed in Chapter 10 of MCAT General Chemistry Review. Reactions between acids and bases are not always visible. The addition of an indicator, as shown in Figure 4.7, can determine when the reaction has occurred.